Various modes of shared mobility are changing the transport landscape of cities. 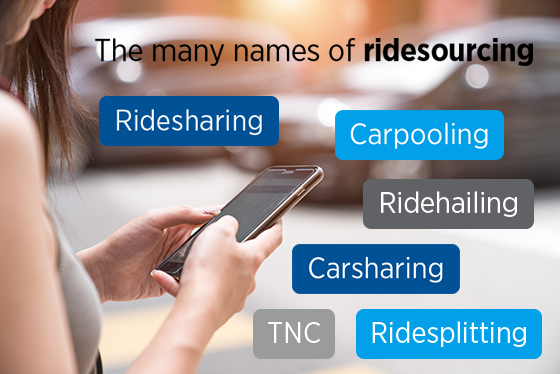 Uber, Lyft, Didi, Ola, Grab, Via, Chariot, Bridj, car2go, Zipcar, Lime, Jump… The list of companies offering new ways to get around – and new business models to access and pay for it – is long and only getting longer. Amidst this explosion in innovation, a revolution in mobility that will shape cities for decades to come, an important question for policymakers grasping to catch up is a basic one: what do they call it? 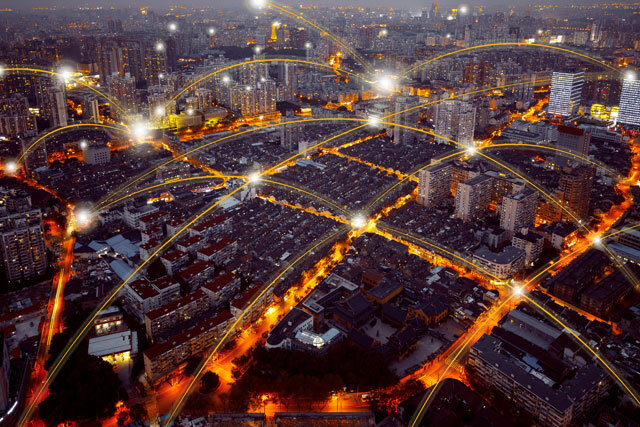 There’s been a proliferation of proposed terms and definitions to describe these shared mobility services and enabling technologies, a bucket that includes huge multi-national companies as well as smartphone apps and peer-to-peer networks. Many terms, from ridesharing to ridehailing to “Ubering,” are not consistently defined or used in literature or in practice. As a result, there’s often ambiguity and confusion when it comes to using these services, conducting research on them and integrating them into existing policymaking frameworks, especially as they proliferate in different languages and cultures. Our recommended practice for “shared mobility” services – the term we believe is the most appropriate as the document focuses on how shared services, vehicles and equipment are accessed – has been under development since December 2017, with input from a wide range of technical and geographical perspectives. This definition is followed by six categories of shared mobility modes, models and applications, encompassing the vast array of services, companies and other elements that make up shared mobility. This taxonomy presents a much-needed, comprehensive glossary that can be used by regulators, legislators, insurance/underwriting organizations, media, academia and consumers to get on the same page. For example, the J3163 standard can help providers set consistent expectations of shared mobility services and technologies so consumers know exactly what to expect when they hear “ridesharing” versus “ridesourcing.” It can also be useful during city procurement processes, to identify and clarify the products or services to be requested or offered, and in research efforts working to understand how these new services are affecting cities around the world. The next steps for the SAE committee include a standardized way of capturing shared mobility travel patterns through surveys and perhaps even symbols for shared mobility. Annie Chang is a Project Manager for Emerging Mobility at SAE International.